Yanhua ACDP MINI BMW key programmer supports CAS3/CAS3+/CAS4/CAS4+/FEM/BDC by OBD without soldering/welding. 2. Aim at the four probes roughly. 3. 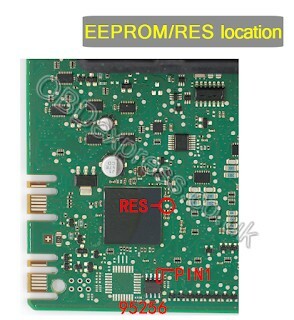 Aim at the pad of reset pin accurately. 4. 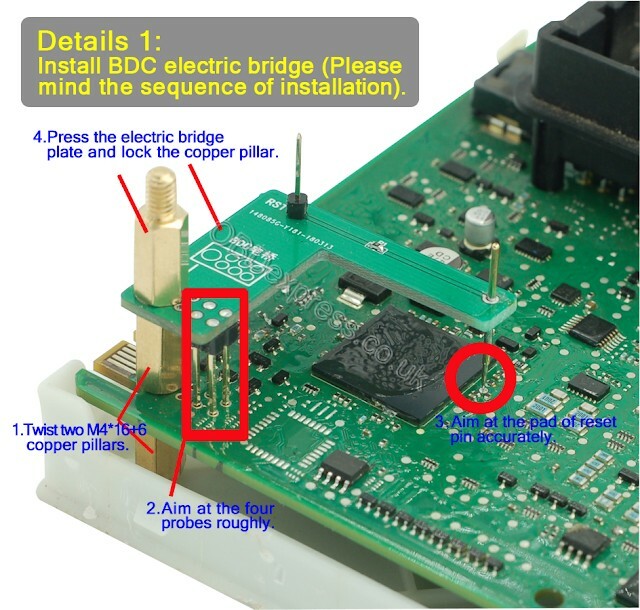 Press the electric bridge plate and lock the copper pillar. 1. Insert direction as per the picture. 2. 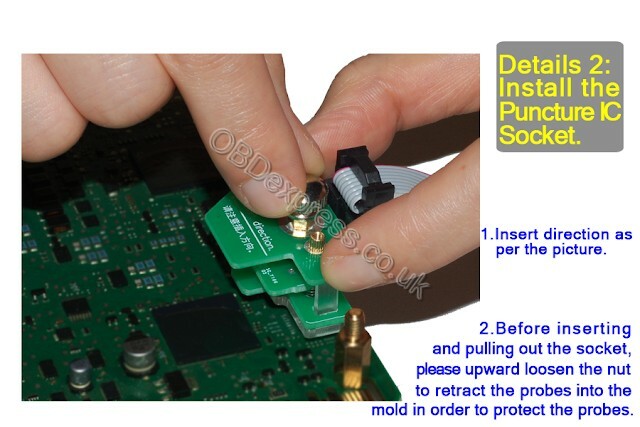 Before inserting and pulling out the socket, please upward loosen the nut to retract the probes into the mold in order to protect the probes. 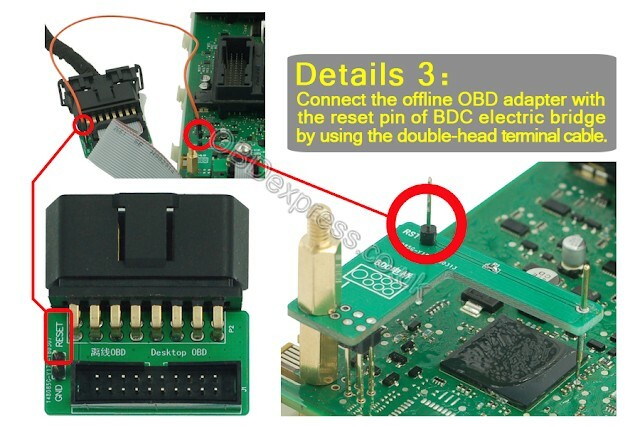 Connect the offline OBD adapter with the reset pin of BDC electric bridge by using the double-head terminal cable.